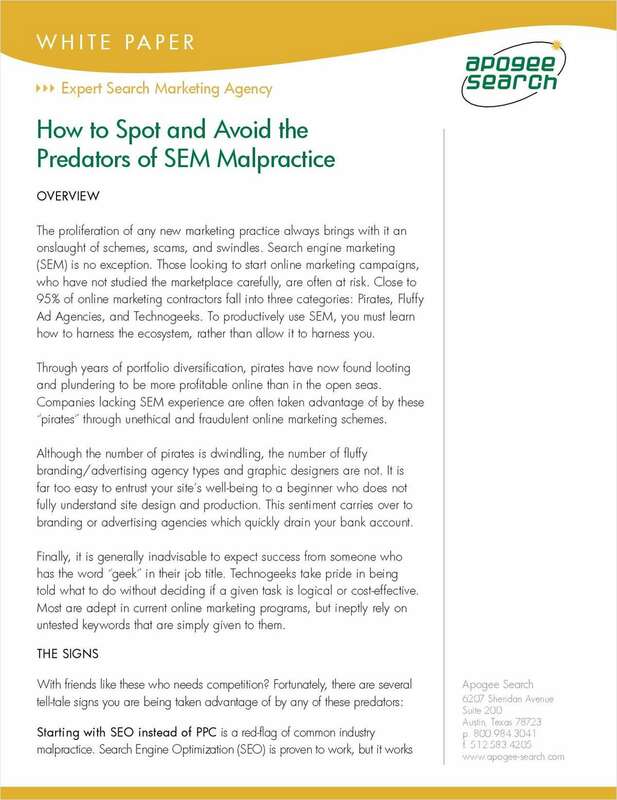 "Spot and Avoid the Predators of Search Engine Marketing Malpractice"
Free White Paper: "Spot and Avoid the Predators of Search Engine Marketing Malpractice"
With friends like these who needs competition? Discover the tell-tale signs of search engine marketing malpractice. By submitting this content request, I have legitimate interest in the content and agree that Apogee Search, their partners, and the creators of any other content I have selected may contact me regarding news, products, and services that may be of interest to me.